Come along and learn how to make an Easter door wreath. You will learn how to make a moss base and then decorate your wreath using seasonal flowers, bulbs and foliage. There will be a variety of beautiful trimmings to use to decorate your wreath, from feathers and ribbons to twigs and eggs. You will produce a stunning design to adorn your front door this season. Cost is £45 to include all materials and special Easter treats and refreshments. Perfect timing for Mother’s Day, this workshop is for those who would love to learn how to create a stunning hand-tied bouquet. Come along and learn how to use the spiral technique to create a stunning design of spring blooms. You will learn how to prepare, condition and then make the design. Ailsa will then show you how to create an aqua pack for the flowers and then wrap them in beautiful paper, tissue and long handled gift bag. 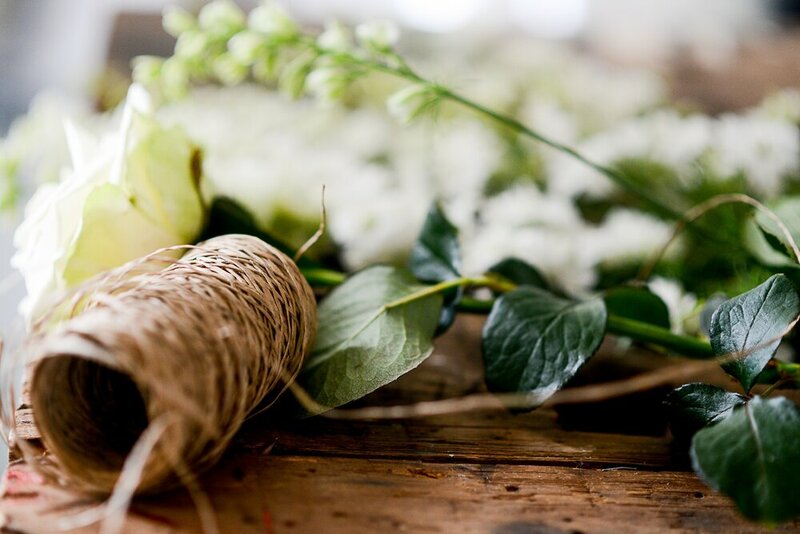 This workshop is perfect for those wanting a taster into floristry and a lovely thing to do for yourself and then give the bouquet to someone special. Cost is £55 to include all materials, refreshments and naughty treats. During this workshop you will learn how to turn your supermarket flowers and garden foliage into a stunning vase arrangement. Ailsa will talk about different types of flowers, how to condition, some useful hints and tips for flower longevity and then how to transform your ordinary flowers into a stunning vase arrangement. Ailsa will talk about how to get the best from your flowers and give you some tips and tricks for arranging them beautifully. You go away with a beautiful tall vase to keep, full of gorgeous spring blooms. Cost is £60 to include your vase, all materials, refreshments and naughty treats. You will learn how to make a floral circular centrepiece for your Easter table. We will use beautiful spring flowers and foliage to create a stunning design to decorate your table this EasterAilsa will talk about the seasonal flower varieties and how to condition your flowers, along with some useful hints and tips to increase your flower life. Using a foam base, Ailsa will demonstrate the technique required to achieve a beautiful design. To finish off the design you will use a large pillar candle in the centre to really show it off nicely! All our 2019 Spring Workshops will be held at the beautiful Farthing Gallery Workshop in Kenilworth - a contemporary exhibition space set in the underground cellars of a Grade II listed building, situated on the beautiful High Street of the historic Market town of Kenilworth.